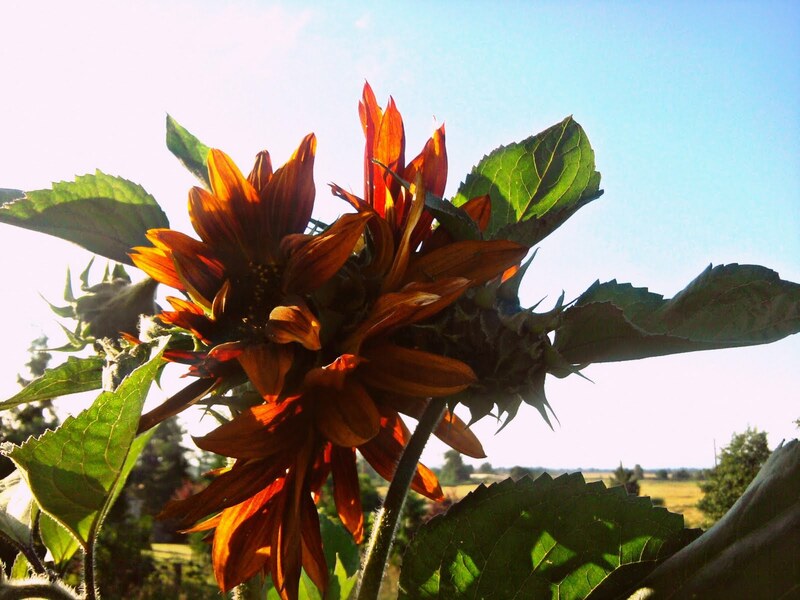 Sunflowers and Indian Paintbrush are my most beloved flowers, and both appear in late summer; sunflowers in my yard and paintbrush on my favorite hiking routes in the mountains. I've tried to grow Indian Paintbrush in my yard but I think they really need a good alpine environment...at least for me. This year I grew Russian Mammoth Sunflowers (their heads were as big as dinner plates! 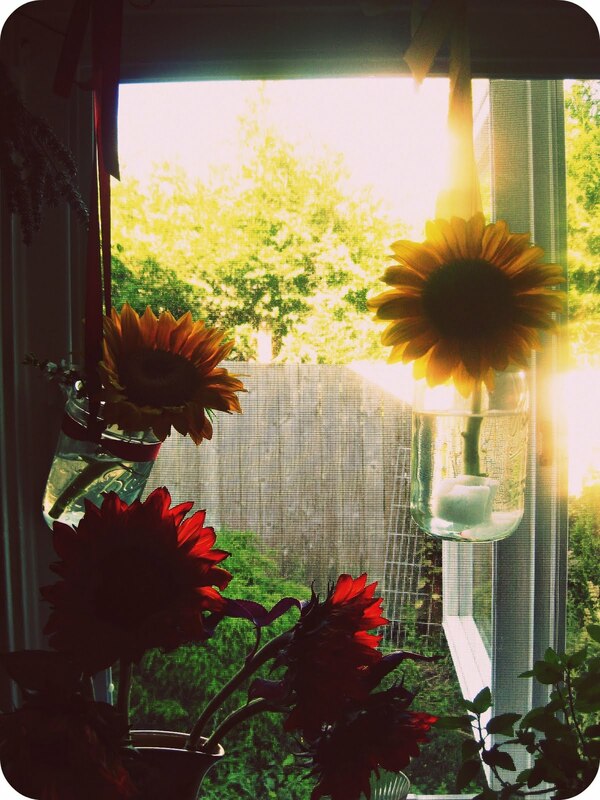 ), some red sunflowers and some of the classic yellow sunflowers with heads about the size of salad plates. The majority of my sunflowers grew at least 5 feet tall, some were even taller than me, and I'll admit I've spent a few summer evenings just standing underneath my sunflowers, admiring these gentle giants. 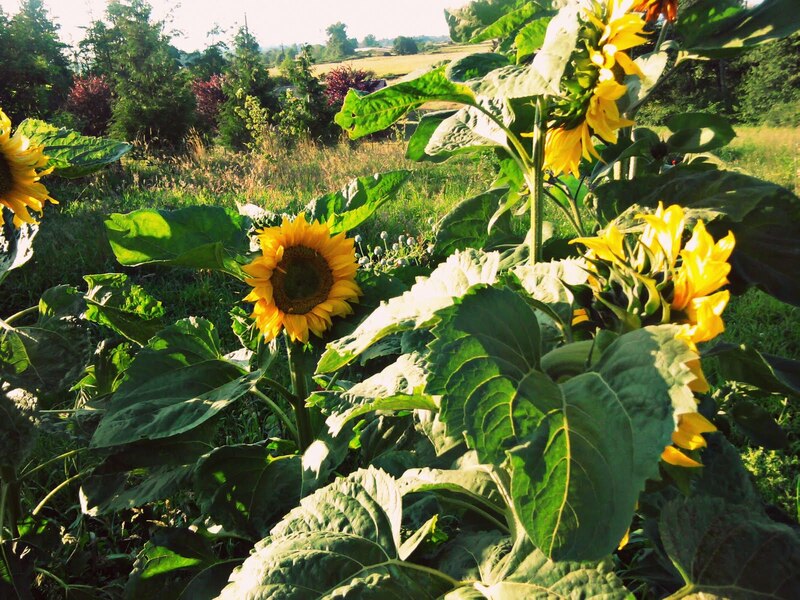 I have my sunflowers standing tall in my back vegetable garden, attracting pollinators, and in my front yard, greeting any visitors that come a'calling. I have three different life stages of sunflowers at this point. Some have already gone to seed and are ready for harvest. I hate having to cut down my sunflowers since they still look pretty, even when they lose their petals, so I have a few standing out in the field (their seeds will still be able to dry) and a few drying on my front porch where I can keep them relatively safe from birds. I'll probably move them all to my shed soon and hang them from the rafters to dry, and then I'll be able to collect the seeds for eating or for storing for next spring for a larger sunflower crop. I've been taking the spent petals of my seeded sunflower heads and have been drying them for tea, so later, in winter I'll be able to remember my garden. I also have plenty of sunflowers that are still in bloom, and about 5 sunflowers yet to bloom, so I should have some of their color for the next few weeks. With all of the seeds I'll be able to harvest this year, I'm looking forward to next summer. 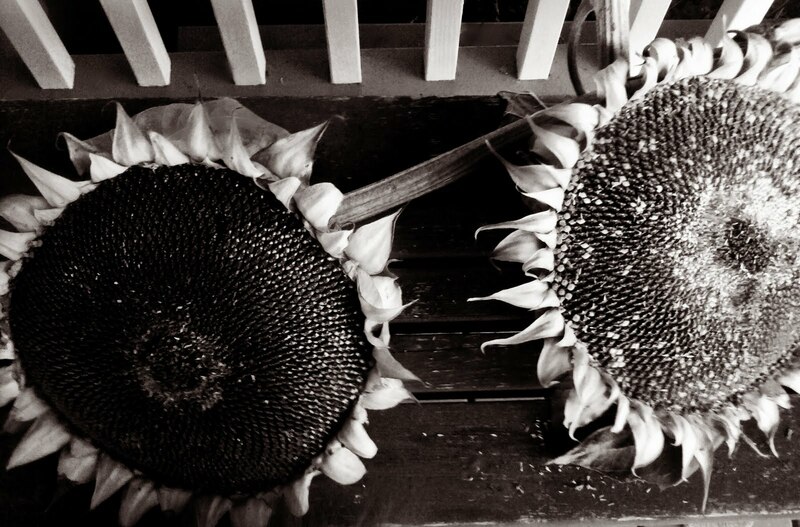 I hope I'll be able to plant a colossal sunflower patch!